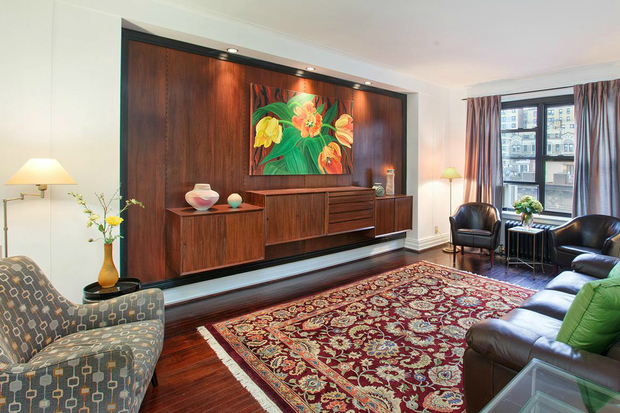 MANHATTAN — Babe Ruth’s former Upper West Side home can be yours for $1.6 million, according to broker Douglas Elliman. The two-bedroom, three-bathroom co-op apartment at 345 W. 88th St. has been on the market since April. The apartment, built in 1913, features hardwood floors, a stainless steel refrigerator and mirrored doors, according to the listing. The Great Bambino lived in the home toward the end of his career with the New York Yankees. His 98-year-old daughter, Julia Ruth Stevens, told the the New York Post she remembered listening to "The Green Hornet" on the radio in the apartment while looking over Riverside Park. The family lived in the nine-floor prewar building from 1929 to 1940. They had the entire seventh floor before it was subdivided into two apartments. The building also has a part-time doorman, bike room and storage bins, and sits less than a block from Riverside Drive. The $1.595 million price tag does not include monthly maintenance fees of $2,864, the listing noted.